Loops of thread designed to bring together the edges of a wound and promote proper healing, stitches are commonly used to treat open wounds and close surgical incisions. As with any wound, those treated with stitches can also experience complications like infection. Look out for redness, swelling and other signs of infection when stitches are healing. Bacteria are often the cause of infected stitches, namely because broken skin cannot protect the body from germs as well as intact skin can, as noted by Healthline. Other culprits could be poor wound cleaning or ineffectual sanitation procedures during surgical operation. Patients who are older, overweight or suffer from diabetes or another medical condition may be at a higher risk for infected stitches. Look for signs of infection after stitches are in place, such as redness, swelling, warmth around the affected area and foul odors. While some drainage is a sign of healing, pus that is white or yellow in color with foul odors may be a sign of trouble. Specifically, Verywell Health, explains that surgical wounds with white or yellow pus present five days after the operation are likely infected. You may also experience fever, increased pain and swollen glands. If you think your stitches are infected, contact your doctor as soon as possible. He or she will run the proper tests to determine what kind of infection you have and prescribe the appropriate treatment from there. Often times, antibiotic creams or medication can clear the infection. According to Healthline, severe cases may require surgery to remove the damaged or dead tissue. The National Health Service advises to keep stitches dry and clean to avoid infection. Speak to your doctor for directions when showering, but you’ll generally want to avoid swimming and soaking in a bathtub while your stitches are healing. You may also want to refrain from strenuous activities that can cause stress on the sutures during the healing process. Additionally, avoid excessively touching or scratching your stitches, as doing so can either introduce germs to the affected area or damage the sutures. With that in mind, be sure to wash your hands thoroughly before cleaning the wound or changing the dressing. 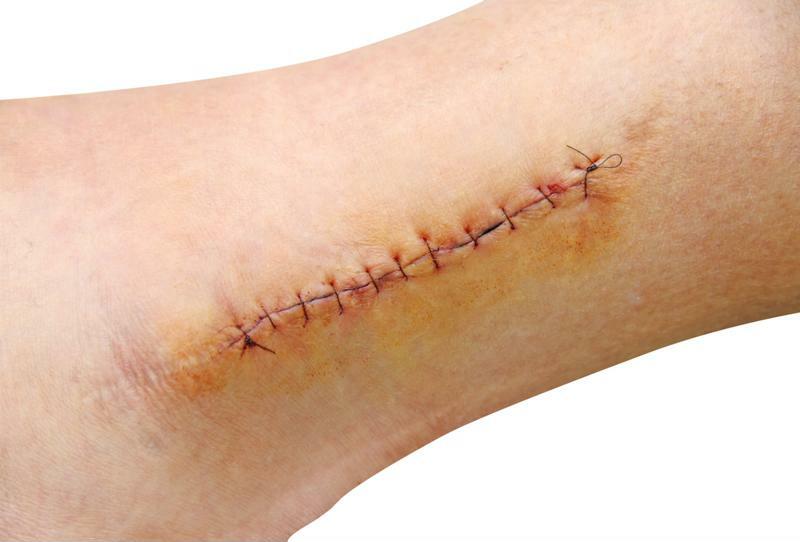 Ultimately, the best way to prevent infected stitches is to practice proper wound care. Talk to your doctor about smartPAC by Advanced Tissue to get your prescribed wound care supplies delivered straight to your front door, setting you up with all of the tools to promote wound healing at home.